Distracted drivers cause about a fifth of the fatal car crashes in Rockford. Illinois has one of the broadest distracted driving laws in the country. It prohibits a wide range of behaviors that are permissible in nearby states. But even if the law does not apply, it’s still possible to obtain compensation in these cases. This compensation usually includes money for both economic losses, such as medical bills, as well as noneconomic losses, such as pain and suffering. In extreme cases, an attorney may also be able to obtain additional punitive damages. But distracted driving is not just device-related. Distracted driving is a behavioral issue. Law officers cannot stop all forms of distracted driving, and many would probably oppose broad distracted driving laws. 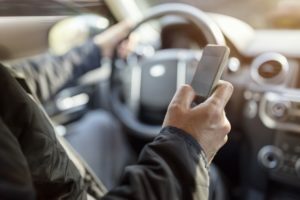 So, it’s usually up to Rockford personal injury attorneys to obtain justice and compensation in distracted driving cases. The latest version of Illinois’ distracted driving law bans most types of text-based communication while driving. The ban applies to person-to-person texts, emails, and some website browsing. Social media posts are in something of a grey area. The cellphone law definitely does not apply to most other smartphone activities, like making a voice recording, taking a picture, or even watching a movie. These cases usually involve physical evidence, viz, the cellphone itself. To prevent the tortfeasor from accidentally or intentionally destroying this evidence, attorneys generally send spoliation letters to insurance companies. These letters create a legal duty to preserve all potential evidence in the case. In other cases, state law does not establish the standard of care. In these situations, the victim/plaintiff must establish a lack of care. The jury decides this issue. For example, most people would consider things like taking a selfie while driving to be highly dangerous and a breach of the duty of care. But most people would not say the same thing about adjusting the air conditioner or talking with a passenger, even though these things technically constitute distracted driving. Victim/plaintiffs must establish either negligence or negligence per se by a preponderance of the evidence (more likely than not). Distracted driving crash victims have several legal options. For a free consultation with an experienced personal injury lawyer in Rockford, contact Fisk & Monteleone, Ltd. Home and hospital visits are available.